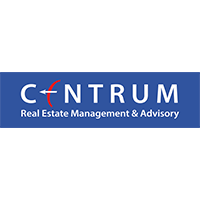 Centrum REMA, started by Harish Sharma is a real estate advisory platform, having its parent brand that deals with financial services. Centrum REMA visions to focus on their customers like developers and channel partners by improving their value in real estate. They provide commercial, practical and objective advice on real estate business related matters to help their customers make efficient, serviceable and operative decisions in competitive situations. Since the parent brand was focused more on financial advice and management, maintaining their newly ventured real estate advisory platform and keeping up to the legacy of the brand was a sturdy execution. Connecting them to channel partners and customers was a crucial step we administered quite well. We had to differentiate Centrum REMA page from its parent page that dealt with finance and bring up a completely new market value in accordance with its original parent recognition value. Maintaining their digital presence over social networking platforms, so that they could stay relevant over them, was something we executed synchronously. With a lot of efforts to bring out the engagement for the page, we had to make it look a lot like a real estate page, unlike its parent page. Positioning the brand and making it recognizable was something we aimed to provide them with. Focusing on lead generation was too a robust idea that played the part of bringing the brand identification in the real estate industry. We came up with campaigns that concentrated on gaining and marking their name in the market and providing them with uniqueness in their field. Due to the success of our campaigns, we were able to generate maximum leads across most of the social media platforms. With the constant engagement on social media platforms, we were able to generate above 10+ bookings. Out of the enquiries that were made on social media platforms, more than 50+ walk-ins for a new home were made across the projects.